Cheerios+Ancient Grains will add quinoa, Kamut wheat and spelt to the traditional whole grain oats of Cheerios. Cereal makers are always adding new ingredients to their products to attract more customers and make their cereals taste better. Additions range from sweet granola clusters to colored marshmallows to new fruit shapes, and most of them end up putting unnecessary sugar and fat into the mix. Â But Cheerios, the standard cereal of American mornings, has taken a different approach by adding healthier ingredients. 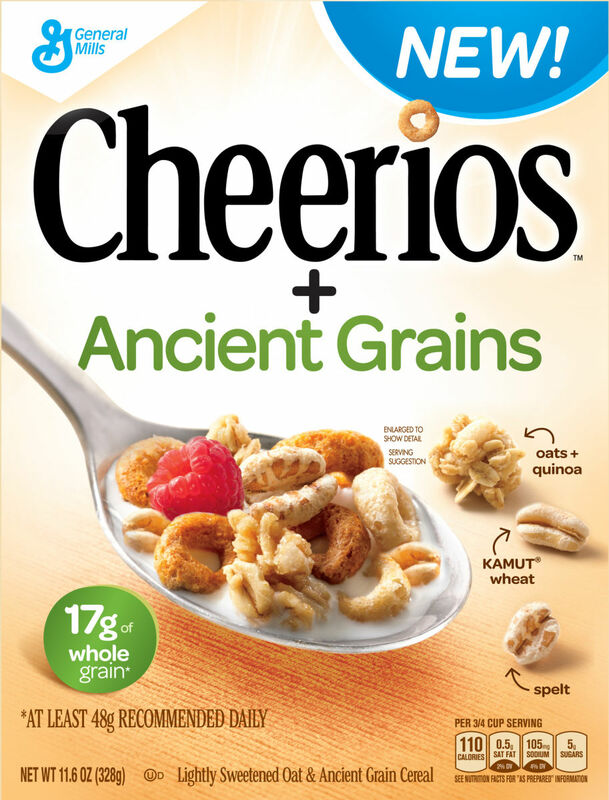 General Mills recently announced "Cheerios+Ancient Grains," a cereal variety that contains quinoa, Kamut wheat and spelt in addition to the traditional whole grain oats of Cheerios. Although the nutrition facts have not been officially confirmed, squinting at a picture of the box reveals that "Cheerios+Ancient Grains" will contain 110 calories, .5 grams of saturated fat, 105mg of sodium, 5 grams of sugar and 17 grams of whole grain per 3/4-cup serving. Expect a hefty amount of vitamins and minerals to be added as well. Cereal makers are always adding new ingredients to their products to attract more customers and make their cereals taste better. Additions range from sweet granola clusters to colored marshmallows to new fruit shapes, and most of them end up putting unnecessary sugar and fat into the mix. But Cheerios, the standard cereal of American mornings, has taken a different approach by adding healthier ingredients. Quinoa has become insanely popular in recent years, and with good reason. The edible seed of a grain crop, quinoa is high in fiber, protein, iron and many other beneficial nutrients. Spelt is a type of wheat that is high in manganese, fiber, protein, magnesium and phosphorus, among other things. Kamut wheat has been shown to be superior to "modern wheat" in numerous health categories, such as raising the body's levels of potassium and magnesium and lowering cholesterol and inflammation. Expect "Cheerios+Ancient Grains" to hit stores this January, and check out the video player above to learn more about adding quinoa to your diet.